Stop by Purifoy Chevrolet for their End of Year Sale. In honor of their 50th Anniversary, Purifoy Chevrolet is having a $50 over invoice sale on in-stock inventory (excludes Calloway and custom). 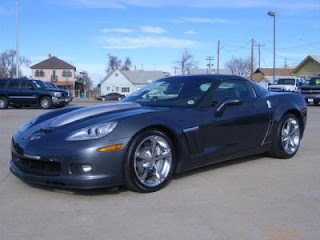 Find out more about the 2011 Corvette at Purifoy Chevrolet. On Christmas Eve, OnStar advisors will be prepared to give subscribers specific location-based updates on Santa Claus’ journey around the world based on data received in partnership with the North American Aerospace Defense Command (NORAD). Beginning at 6 a.m. EST on Christmas Eve, OnStar subscribers can press the blue OnStar button in their vehicles to request a “Santa Update.” OnStar advisors will share Santa’s whereabouts through 5 a.m. EST Christmas morning. Learn more about OnStar at Purifoy Chevrolet. Visit Purifoy Chevrolet on Facebook! 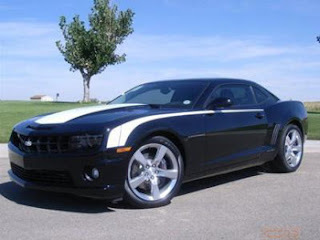 Would you like to become a fan of Purifoy Chevrolet on Facebook? How about becoming a friend of our alter-ego Vette Guy? We try and keep things interesting by posting valuable information at least every other day. WARREN, Mich. – In an effort to produce lighter, more fuel-efficient and better handling models, Chevrolet Corvette features advanced materials such as carbon fiber. Until now, exposed-weave carbon fiber, one of the coolest looks for fast, hot cars, was unavailable to consumers because the sun degrades the material on the exterior surface. In fact, experts thought putting exposed carbon fiber on the outside of any retail car was nearly impossible. Painting over the carbon fiber was the only option. All that has changed due to an industry-first technology breakthrough: “sunscreen” for the Chevrolet Corvette ZR1. 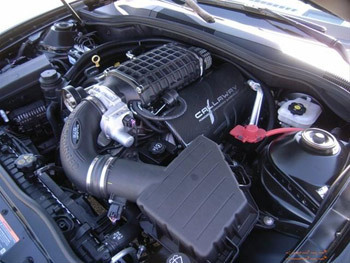 “Everyone said it couldn’t be done, and we were crazy for trying,” said Mark Voss, senior design engineer for the ZR1. Undaunted, Voss and his team worked for three years on their own time to develop a glossy, UV-resistant clear coat that allows exposed carbon fiber to be used on the body of the car. It also shields the carbon fiber components from chips and scratches. Carbon fiber on the Corvette emerged from the technology transfer between the production Corvette and the Corvette C6.R that race in the American Le Mans Series. Carbon fiber reduces weight and improves stiffness compared to steel. Carbon fiber is approximately one-fifth the weight of steel and one-third the mass of traditional composite panels. That means a lighter, more fuel-efficient vehicle with a lower center of gravity for better handling on the road and on the race track. For a consumer vehicle, exposed-weave carbon fiber, with its honeycombed appearance, offers the fuel efficiency of painted carbon fiber, but has a unique aesthetic. The ZR1 features exposed-weave carbon fiber on the roof panel, roof bow, rocker moldings, front fascia splitter, and the underside of the hood. The ZR1 has carbon fiber floor panels as well, although not in the exposed-weave format. For the Corvette Z06, carbon fiber fenders and floor panels come standard with an optional package that includes splitters, rockers and roof panels. Voss, a former drag racer, confirmed car nut, and incessant tinkerer says his passion for all things automotive fuels his imagination. “When I’m not at work with my Chevrolet colleagues developing new technologies, I’m at home working on one of my cars in the pole barn,” he said. Voss’ “pole barn” is just one hoist shy of being a full-blown automotive shop. The heated and furnished 1,800-square-foot outbuilding includes car tech essentials such as a metal fabrication station. He has owned more than 50 cars in his lifetime; his current classic favorites being a 1979 Corvette and 1972 Chevrolet Blazer. Stop by Purifoy Chevrolet for more information on the Chevrolet Corvette. New 2011 Callaway Corvette with 606HP! This is our first Callaway Grand Sport! This car has an amazing 606HP!!! It comes with with the full Callaway SC606 package and has the C6 carbon fiber hood, exhaust slats, and short throw shifter. The car has the 4LT pacakge with the Dark Titanium leather wrapped interior, Chrome wheels, F55 Magnetic Ride Control and Navigation. Hurry in today to check this incredible car out before it is gone! New Corvettes just $50 over invoice during our year end 50th anniversary sale! In honor of Purifoy's 50th anniversary, we are offering nearly all of our new, in stock, Corvettes for just $50 over invoice price! This is the first time we have ever offered this kind of savings on new Corvettes! Hurry in today to get yours. We have ZR1s, Z06s, Grand Sports, and base models in stock - ready for delivery. When they are gone, they are gone! Callaway Corvettes AND Callaway Camaros! We have our first 2011 Callaway Camaro in and it is FAST!!!! With 572 HP and 540 lb-ft of torque this Camaro really gets up and moves!!! It comes with a supercharged 6.2L V8 engine, Callaway intake and exhaust, Callaway short-throw shifter and Callaway badging. 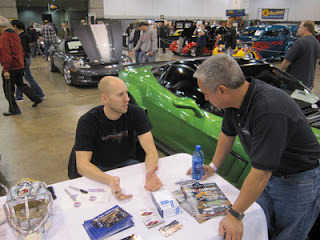 For those who missed it, Craig Anderson came out to sign autographs at the Greybeard indoor car show in Denver last weekend. 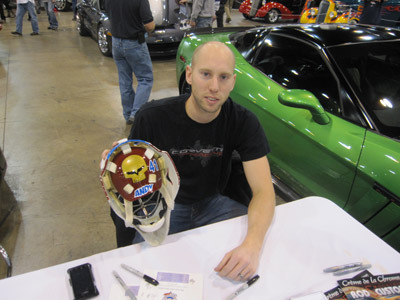 We had his car there along with his hockey stick, and his now famous hockey mask with the Corvette Racing "Jake" painted on the back. A great time was had by all! We plan on more events like this in the spring - stay tuned!